When it comes to getting a lock change done quickly, efficiently, and at a fair price, Fort Worth Locksmith Pros has got you covered. We take great deal of pride in serving Fort Worth, TX and surrounding areas and are always ready to go above and beyond the call of duty on your behalf when it comes to providing you with AAA quality locksmithing services such as re-keying, lock replacement, and much more. We are your go-to, complete locksmith service with 5+ years of experience serving great customers just like you. If there is anything we can help you with, don’t hesitate to contact us. We also take great pride in our employees here at Fort Worth Locksmith Pros. All of our expert technicians are licensed, bonded, and insured so that you can always look forward to a job well done. 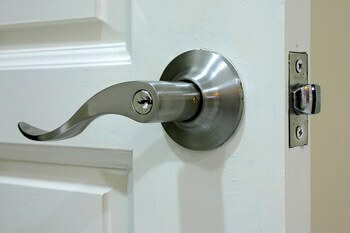 We also offer 30 min response times and 24-hour locksmith service because we respect your time. 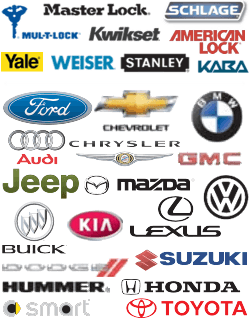 We also respect your wallet and offer you upfront pricing on all of our services. Our mobile locksmiths are fast and friendly and always ready to serve you to the best of their abilities each and every time. We’re always on hand to help you change a lock when you need it but knowing when you need a lock change is just as important as knowing who to call. One of the most important times you’ll want to change locks is when you first acquire a property. This is due to the fact that keys from the previous owner could end up in the hands of the wrong individuals. It is also a good idea to get the locks changed if you lent out your keys and never got them back. When it comes to commercial properties, it is a good idea to have the locks changed on a scheduled basis if you need a high level of security. Disgruntled former employees who have access to keys may use them wrongfully or place them in the wrong hands. In the event of a break-in or security breach, you should also consider changing the locks if they have been tampered with or have proven to be insufficient in their job of keeping unwanted intruders out. You can never be too careful when it comes to protecting your business. In some cases, you may be wondering whether you need to re-key your lock or change it completely. This varies on a case-by-case basis but generally speaking, older homes should be re-keyed as their doors typically aren’t suited for modern locks. On the other hand, a condo with only one lock on the front door is a good candidate for a lock change. If your locks are over 30 years old, you also want to think about getting a lock change because 30 years tends to be the average lifespan of a quality lockset. In some cases, you may try and rekey the locks in your home or business only to discover that some locks simply won’t take the same key. 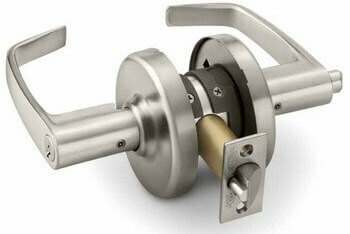 In cases such as these, some of your locks will have to be changed in order to allow one key to operate all the locks. Sometimes. you don’t want this to be the case, such as in a high security commercial property, so it can be a good idea to ensure that different locks operate using different keys to limit access to certain areas. This can be done with a combination of lock rekey and changing the locks. If you need a complete Fort Worth, TX locksmith service that serves Fort Worth, TX and surrounding areas, Fort Worth Locksmith Pros is always here to help. We proudly provide you with up front pricing and 24/7 locksmith service so don’t hesitate to call us to inquire about our services, prices, or if you have a situation that needs to be resolved ASAP. We’re always here to help and always happy to talk to you. Contact us now and speak with a friendly customer service representative – you won’t regret it. Lock Change http://locksmithftworthtx.com/lock-change/ 3.9/5 based upon 25 reviews. 24 Hour Complete Locksmith Services in Fort Worth and Surrounding.